Windsor-Essex County Health Unit announced the first confirmed case of Influenza A in the region this flu season. The flu is here in Windsor-Essex. The health unit has announced the first lab-confirmed case of Influenza A in the region. According to numbers released by the health unit in a news release, there were 304 lab-confirmed cases of influenza last year. 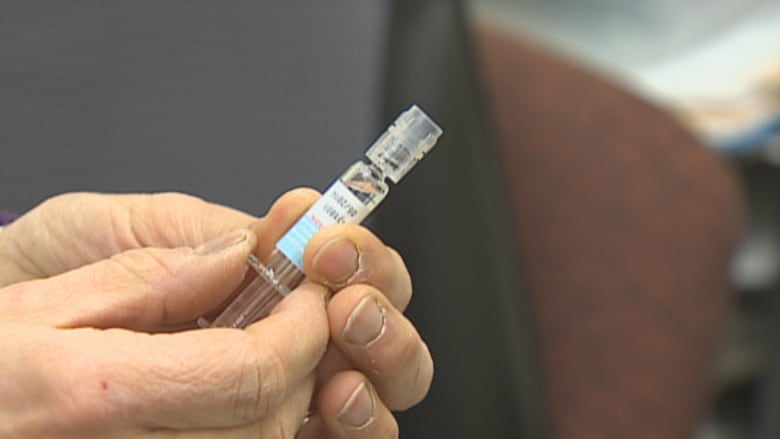 The health unit says people should protect themselves by getting the flu vaccine, which is free for people who live, work or study in the province. "If people get the flu shot every year, the likelihood of getting the flu is reduced, and that means people are unlikely to spread the disease to family, friends and into the community," the release reads. The health unit says infected people can spread the virus before they even experience symptoms. Last flu season in the region, there were multiple outbreaks and at least 18 deaths from the flu. Keeping hands clean with thorough hand washing. Coughing and sneezing into the arm. Keeping hands away from your face. Keeping common surface areas clean and disinfected. Staying home if you or your child are sick. People can get the flu shot with their physician or nurse, at local pharmacies or the health unit's clinic Friday, Nov. 16 from 10 a.m. to 6 p.m. at University of Windsor.